The Employ-Ability Program aims to support physically challenged people with training and various activities to lead a normal life and get a job. 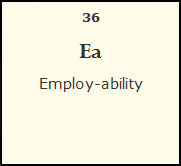 The aim of ‘Employ-Ability’ is to provide such framework that will disrupt the poverty and disability cycle. Also preventing the marginalisation and ensuring the welfare of the vulnerable group in the workplace.MYP is very sensitive to the cause of physically challenged people, we believe in equal chances, and that no person should be discriminated for any reason. Employ-ability is carried by Craft Aid Services Ltd, in partnership with the Global Rainbow Foundation, supported by the European Program through the Decentralised Cooperation Program. The Official Launching ceremony was carried out in the 16th January 2014.